Capture the spirit of the summer outdoors with bold Diego. 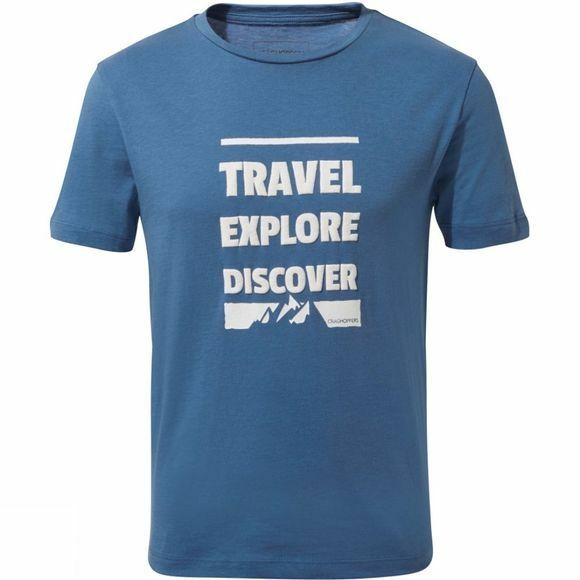 The simple, practical crew-neck tee is what summer is all about, featuring a message that resonates with all explorers. Made from super-soft 100% cotton in a range of colours.